Our first and long overdue visit to this amazing woodland was during the recent October half term. 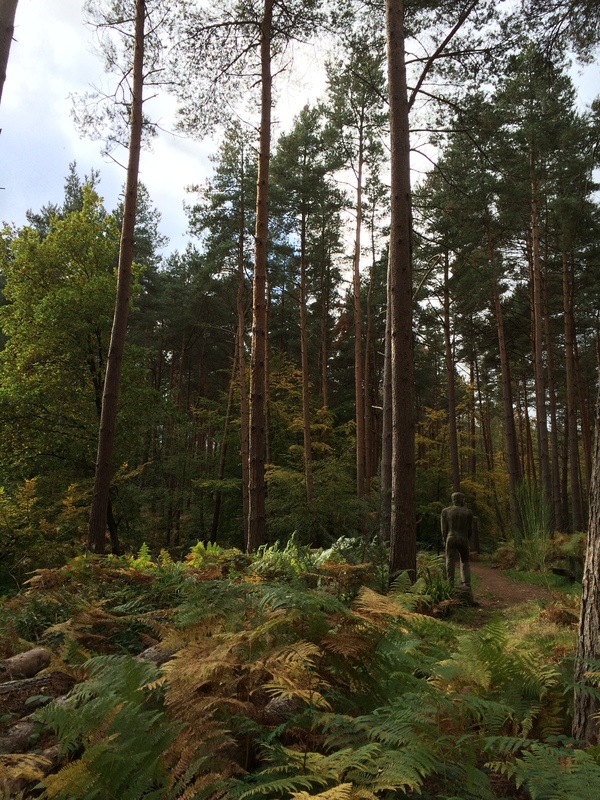 We’d heard about the sculpture trail countless times but had never quite got round to heading over there. If you have young children who need a bit of gentle encouragement to go for a walk (rather than be carried along on one), this is the ideal place. 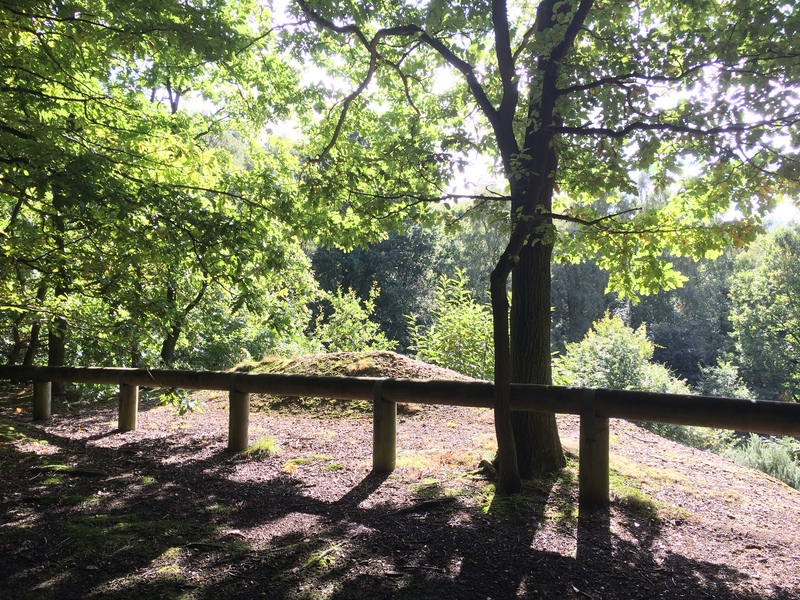 Park at the east car park and follow the undulating trail which winds its way for one kilometre through mixed woodland with around eight sculptures, reflecting local history, to spot along the route. Mostly carved from wood by brilliant sculptor Dan Cordell, they include a Roman soldier representing the troops who once marched along nearby Ermine Street, a Roman road linking London with York and a family of wild boar foraging among the leaves as they would once have done in this area. There is a mixture of evergreen and deciduous trees including pine and hornbeam so this is a great walk for any time of year. There’s plenty of den building opportunities and the paths are sufficiently well maintained for it to be suitable for both buggies and wheelchairs. 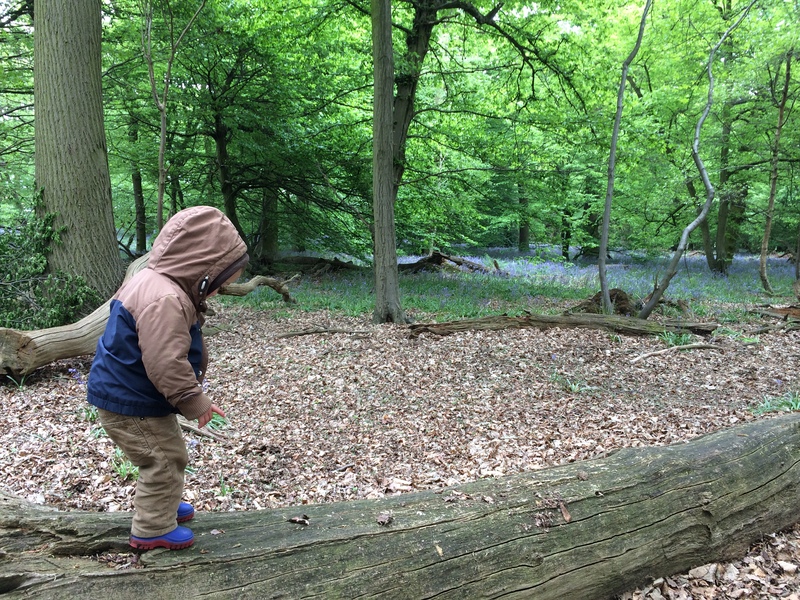 This wood is very close to where we live but I had disregarded it for some time after reading that it wasn’t ideal for toddlers due to some steep slopes. However, I finally decided to ignore this advice as it sounded like such an interesting place. 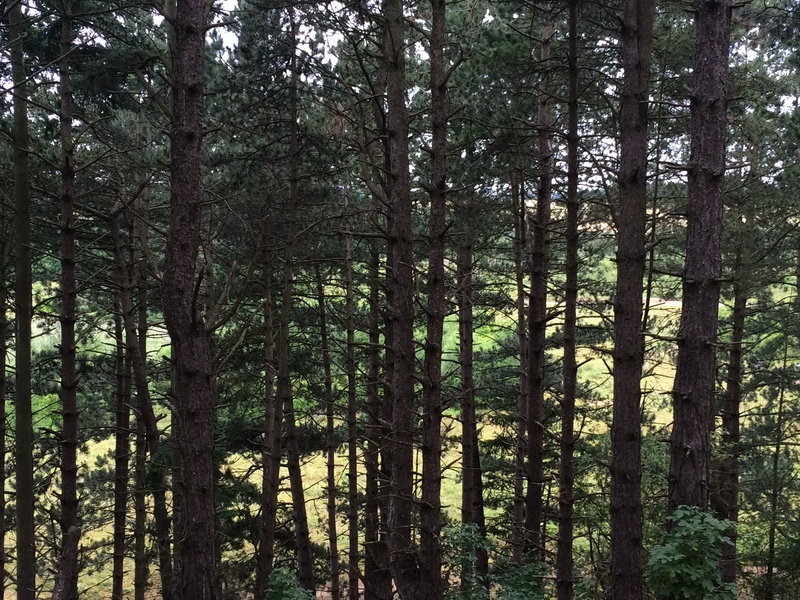 It offers a varied landscape of old gravel pits, oak and beech woods, ponds and heathland. There’s only a couple of spots where you have to grab your child by the collar, but it’s such a large space that the steep parts are easily avoided. There’s a huge beech tree with exposed roots which children enjoy hiding in (we have yet to find it as we didn’t study the map before our walk!) and a varied network of paths allowing visitors to explore different parts of the nature reserve. The only downside of this woodland for me is the faint background hum of the A1. 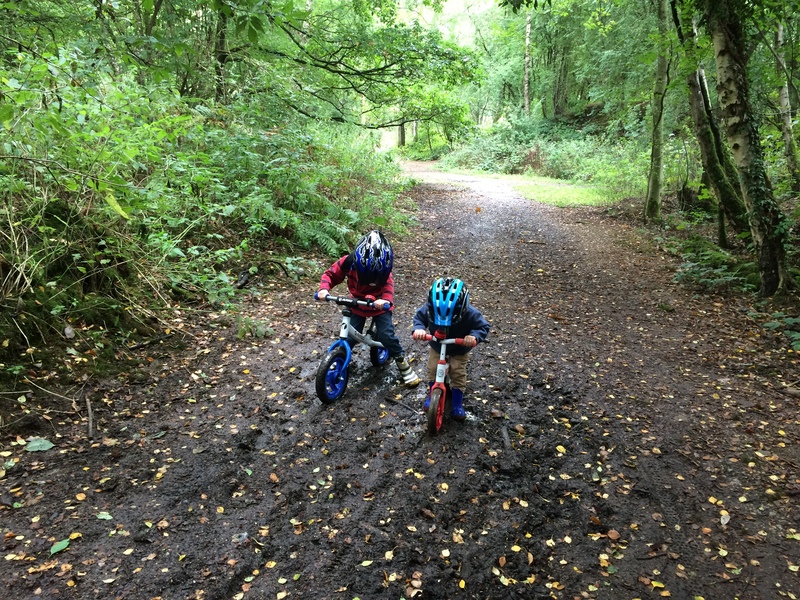 If, like our kids, yours enjoy hurtling at breakneck speed on their bikes, Waterford Heath is a great place to visit. 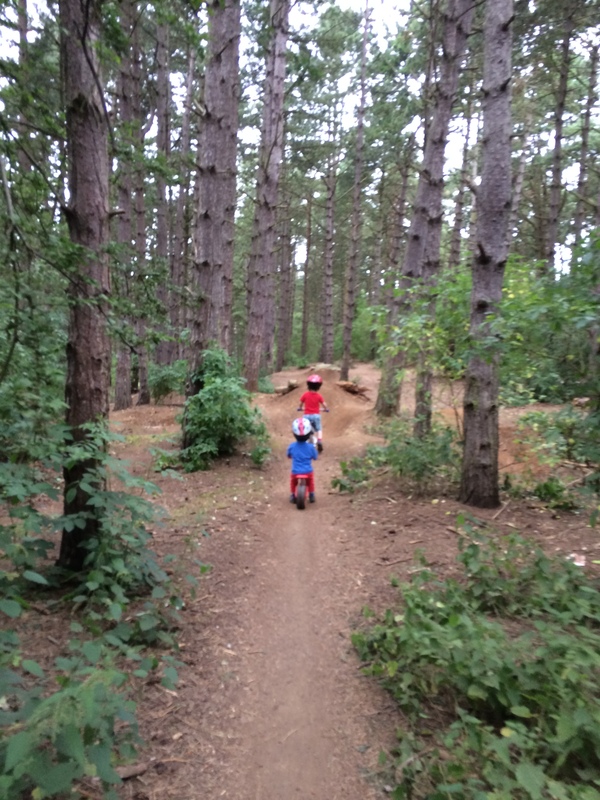 Another former quarry, this nature reserve has some excellent woodland paths with slopes which nature seems to have designed especially for kids on bikes to zoom over. We found it was very sheltered when we visited in the rain so it’s a good option if your children need to burn some energy on days when the weather is less than perfect. There’s also the open heathland, (with abundant blackberries in summer), which is buggy friendly and paths lead down to the beautiful river Beane for a circular walk back over the railway bridge to the car park. Apparently otters have been spotted in the Beane recently, another reason to pay a visit this autumn. We visit this lovely spot all through the year. In spring it produces an amazing display of bluebells; in summer it’s perfect for picnics and blackberry picking; the mix of oak and beech make it a stunning spectacle now that autumn is here while in winter it feels relatively sheltered from the elements. There’s also a sizeable wetland area accessed down through the fields which we haven’t got round to visiting yet as our boys always want to head into the woods. There’s a circular path which runs through the woodland for probably a kilometre but it’s hard to judge as there are so many fallen tree trunks, stumps and ready-made dens that you’ll find yourselves stopping every five minutes to play. 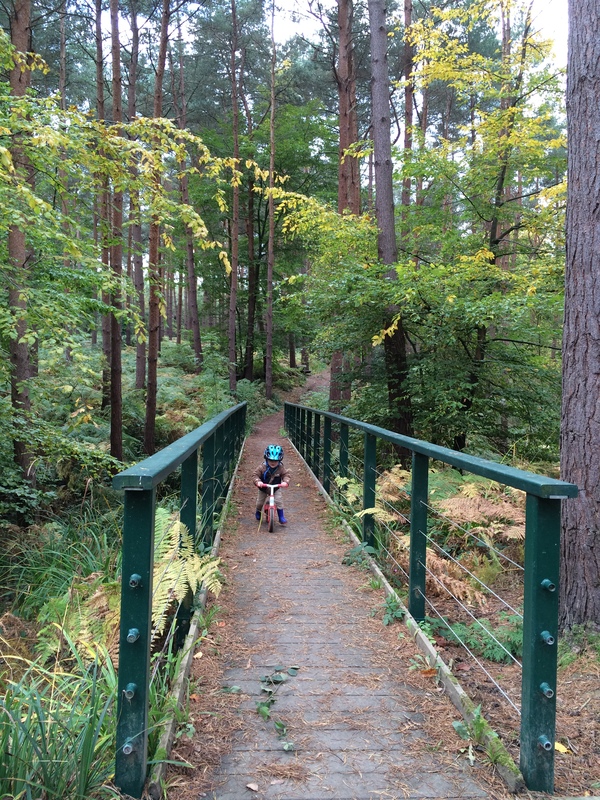 Looking for other woodland walk ideas with your children? 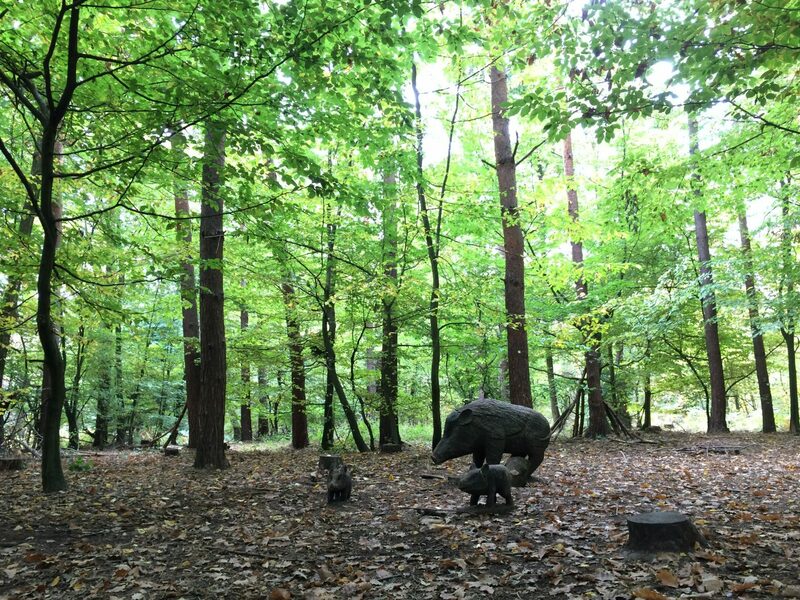 Check out my post on bluebell woods in Hertfordshire, these places are just as good in Autumn! I’d love to see the wild boars in Broxbourne! Sounds as though there are some lovely walks in your area. Great pics of all the beautiful Autumn trees. The Broxbourne sculpture trail is lovely! I think I took all those photos at the start of autumn last year as it still looks rather green!